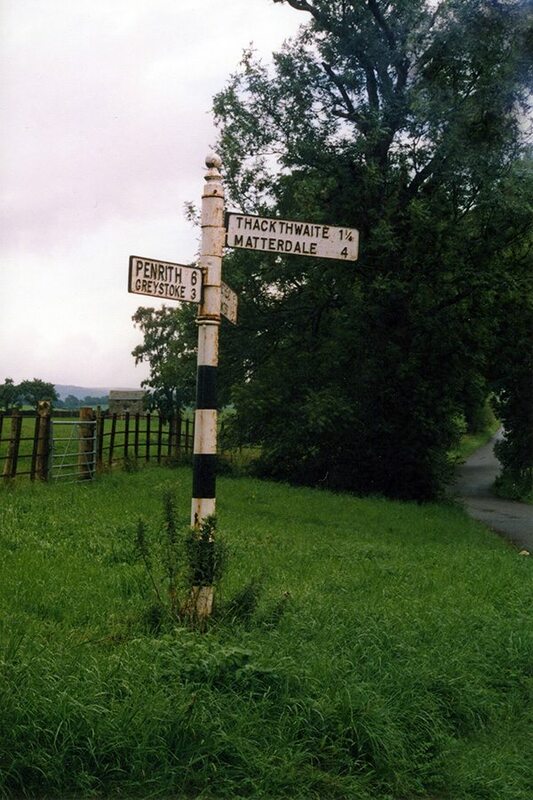 Thatched Place Names… Why so few? Names that locate a ‘thatched homestead’, are rare indeed. Thakeham in Sussex and Berkshire’s Thatcham, are two. And still have examples of the thatcher’s art. But why so few locations, when thatch is supposed to have kept the weather at bay; for the vast majority of our forebears. The answer, probably lies in the question. Thatch at Thatcham… Alongside the Roman road, from London to Bath. These attractive cottages, are old enough to have seen everyone, from Samuel Pepys to Charles Dickens, trundle past; in their coaches, to take the Bath waters. 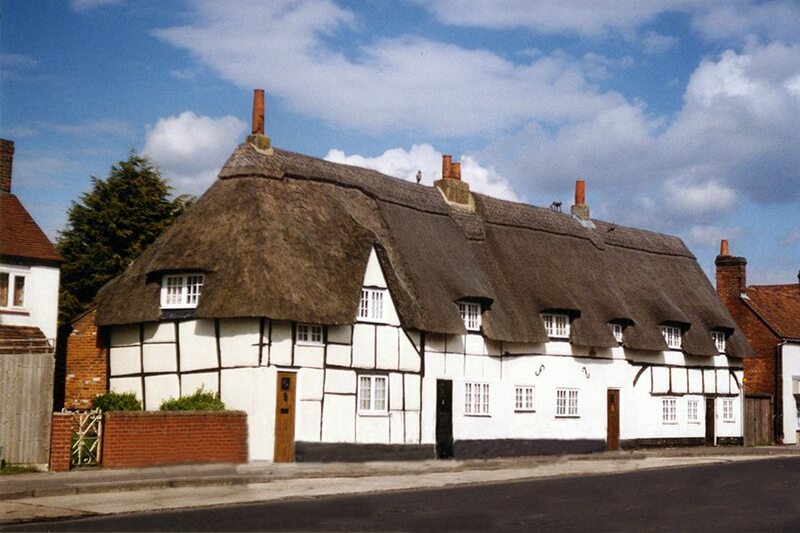 The various thatching materials our ancestors used, are also found in place names; but again not in any great numbers. Reeds are mentioned in a few places. Redmire and Reedness, in Yorkshire, recall a valuable source of material. As expected, Norfolk has a Reedham, ‘a place of reeds’; a resource still very much in use today. The Norse settlers, in Cumberland, have left us two Thackthwaites; ‘an area of land supplying thatch’. A visit to either village will show, that the land in question, was probably next to water; providing a useful crop of rushes or reeds. Plants much in evidence today, and a guide to the type of thatch, used in the Lake District. 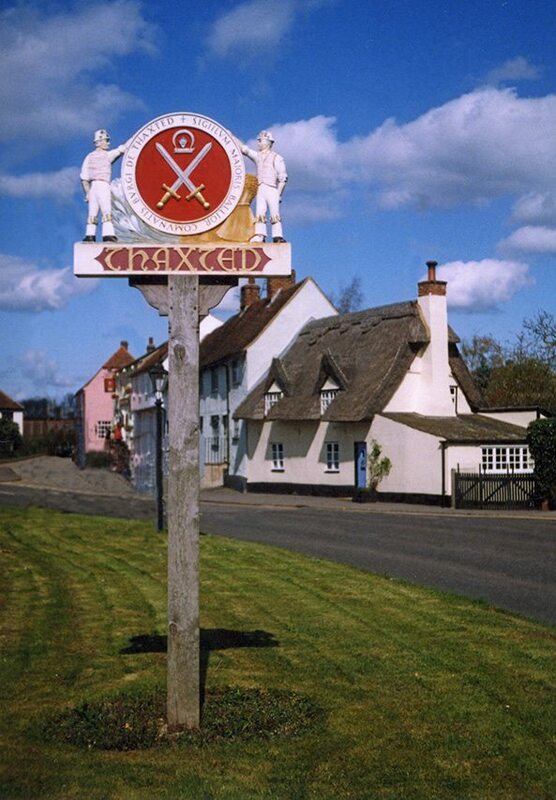 Signs… Thaxted, still has thatch, as well as a splendid sign. Both a common sight, in the eastern counties of England. Thatch… Not The Only Name in Town. The attentive reader may have noticed, that ‘Thatch’, was rendered, in differing ways, in the various place names, mentioned above… This is not down to the vagaries of old spelling, but due to the use of similar, but separate names for the craft. These were, ‘Thack‘ and ‘Theak’. Until a century or so ago; the craft was practiced by Thackers and Theakers; as well as Thatchers. A whole range of thatching terms, employed these names. So a spar became a ‘Thacking-Peg’, a straw rope, a ‘Theaking-Band’. A roof in need of covering, was ‘Thackless’ and a thatched cottage was a ‘Thacky‘… There was a little variation. A ‘Thacker’, could also be a ‘Thackster’; or in parts of Scotland a ‘Theeker’. In the land of the Thacker…. 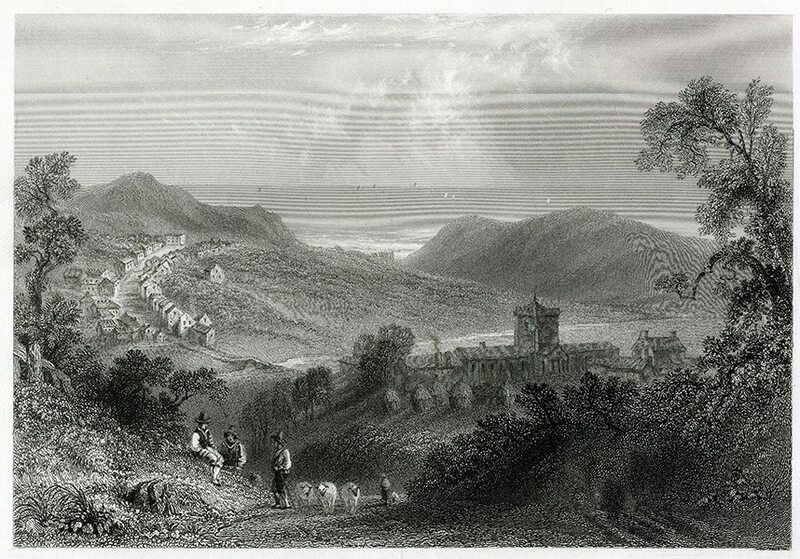 St Bees in Cumberland, around 1830. Full of circular, ‘theaked’ stacks and distant ‘thackys’. A saying hereabouts, suggests throwing a young ’Barns’ onto the roof… if he manages to stay up there; he’ll make a good ‘thacker’… Hopefully any roof was not covered by a ‘theaking snow’, when the lad was tossed up!